This is the bar from the Wine Cellar. Note the mirror behind the bar which is shaped like the lake. Amd above your head was a large wooden beam, where the words "Lake Minnewaska" were carved backwards, so that they appeared normally forward in the mirror! 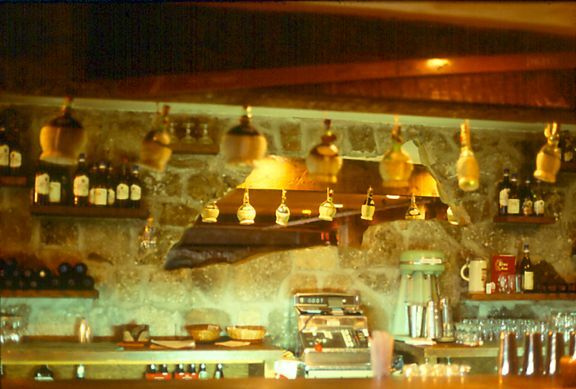 We used to hoist a few refreshing beverages here after an energetic day of ski touring, in the late 1970's.